There are several ways to enter for the Great Railway Run event. Print an Entry Form and post it together with the required entry fee to the address on the form. 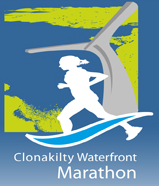 Pre-checkin (bib number collection) and late registration will be available on the day before the race from 5PM to 7PM at Phelans Midnight Pharmacy off the Kinsale Road Roundabout. When registering online, you will have the option of requesting your Bib Number to be delivered by post. This service costs €2.50. Bib Numbers will be posted to you approximately 1 week brfore the event. Note that if a large number of people turn up on race day at the last minute and queues develop at check-in, the starts will not be delayed out of consideration for the rest of the field. To avoid the hassle and risk of missing the start we therefore strongly recommend collecting your bib number the evening before or opt for postal delivery. You can arrive later, be more relaxed and enjoy the day even more! Online registration closes at midnight on Friday, April 26th 2019. Late registration will be available on the day before the race from 5PM to 7PM at Phelans Midnight Pharmacy off the Kinsale Road Roundabout. New Registrations will NOT be accepted on race day. Locations for the check-in areas for the 10K and 25K runs can be found here. Please come early to allow sufficient time for check-in. Check-in opens 60 minutes before the start. Remember, the race will not be delayed if there is a queue at the check-in desk.